Our Cityscape Drawstring Sportpack features special weather resistant coating and allows inserting custom details for Brand Recognition. 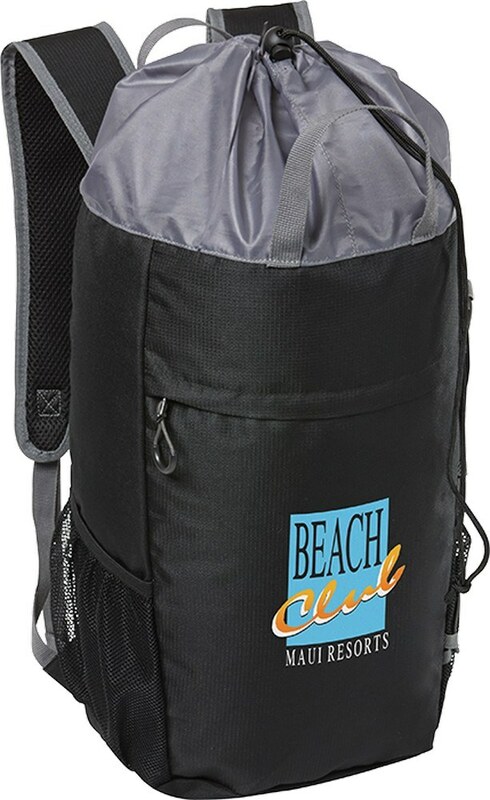 One of the fanciest choices for corporate gifting in the market, the Cityscape Drawstring Sport pack has pockets, compartments and loops and it very well knows how to use them. Get your brand name printed on this bag and it will surely go far. 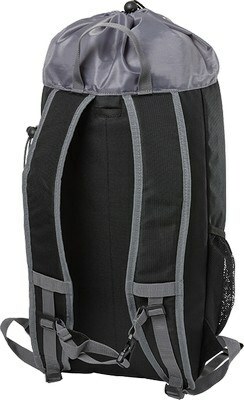 This backpack is made using low-lead, Phthalate free, 600D polyester and backed with weather resistant coating. 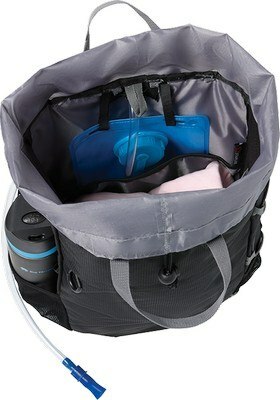 It features a large main compartment with cinch closure and a front zippered pocket. A slash pocket and two side mesh pockets offer additional storage space. It comes with a lightly padded back and elastic bungee cords. 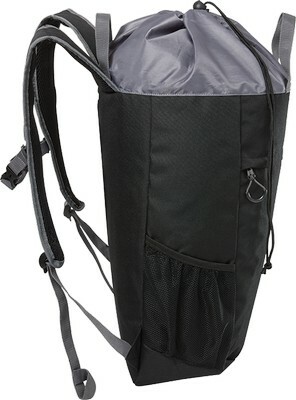 Special air mesh padded adjustable shoulder straps with adjustable sternum strap offers a secure fit and comfortable carrying.